Those surveyed by Deloitte averaged three streaming service subscriptions, but many weren't thrilled with the numbers of services they had to subscribe to get what they want. That's worth noting for sports, considering the fragmentation in the sports streaming landscape. The TV landscape is changing dramatically, and the 13th annual Deloitte Digital Media Trends survey has some interesting insights on where it stands. The study, collected from an online survey of 2,003 consumers between December 2018 to February 2019, reported that 69 percent of respondents subscribe to at least one streaming video subscription service. That’s a significant growth from last year’s survey’s result of 55 percent, and it’s larger than their result of 65 percent of respondents who subscribe to traditional pay TV (up slightly from 63 percent last year, down from 75 percent in 2017; however, that figure comes with some caveats, as detailed later). Also, their study reports that the average consumer they surveyed subscribes to three streaming video services. But it’s also notable for the various complaints it explores about streaming video services. Now, there is a notable distinction there. This survey only counts traditional cable and satellite subscriptions and excludes streaming services offered by pay TV providers (the DirecTV Nows and SlingTVs of the world), which a November Leichtman Research Group report said accounted for 4.2 million households in Q3 2018. The Leichtman numbers (based on companies’ own reports and estimates, which are more accurate than a survey result) say there were 90.3 million pay TV households in that quarter (counting that 4.2 million), which would be a penetration rate of 70.8 percent of the 127.6 million U.S. households, higher than the streaming video subscription numbers here. Those Leichtman numbers also don’t include providers like PlayStation Vue and YouTube TV that don’t publicly report their numbers, so the real number is actually even higher. And if this is considered as a percentage of the 119.9 million Nielsen-estimated TV households rather than all U.S. households, the pay-TV penetration rate is likely between 75 and 80 percent. (If the numbers of streaming pay TV households are excluded, the penetration rate from the Leichtman data is 67.5 percent, closer to the survey’s 65 percent.) But it’s still significant how much streaming subscriptions have grown and how close they are to pay TV, even if streaming pay TV options were to be included. Of course, this isn’t necessarily a one or the other choice, as the survey notes that 43 percent of respondents subscribed to both traditional pay TV and at least one streaming subscription service. But this is indicating there’s large growth in the streaming sector. However, that growth doesn’t come without issues. 57 percent of the streaming complaints in the survey were about shows viewers liked disappearing from streaming service, and other cited complaints included data control and finding content across multiple services. This is maybe especially significant when it comes to rights deals like the AAC one, the UFC PPV one, the UEFA Champions League one, the AAF one, and the Premier League one that include a major streaming service component (the first two with ESPN+, the Champions League and AAF with B/R Live, and the Premier League with NBC’s Premier League Pass). Having extra content available through those streaming services can be nice, especially if it wasn’t aired elsewhere earlier. But all of those streaming services don’t fully replace a pay-TV package, even for the sports in question; those who want everything from one of those leagues will have to have both pay TV of some sort (perhaps a streaming pay TV deal, or perhaps a traditional one) and the extra streaming package in question. 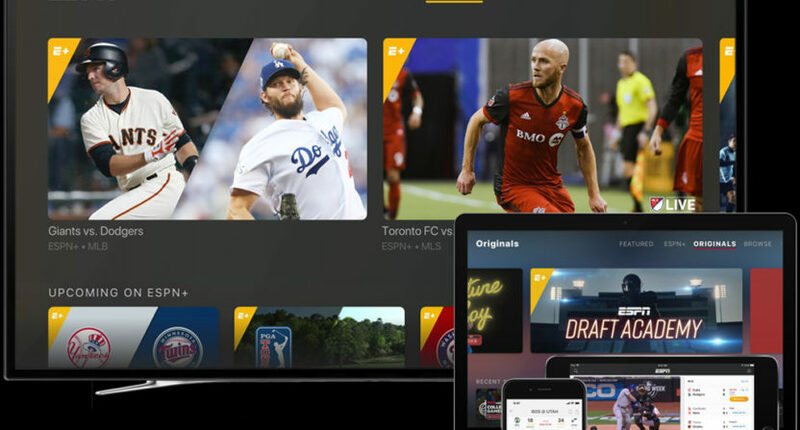 And if consumers want to follow multiple sports that have streaming as a component of their deals, they may need to subscribe to multiple sports streaming packages in addition to a pay-TV package. And that’s before additional entertainment options like Netflix or Hulu, or the forthcoming Disney+. Oh, and a fair bit of this content was previously streamed for free with an authenticated cable login. Now, it comes with an extra fee. And while there are obviously some people willing to pay for everything, there may be many more making hard choices about which streaming packages they really want. This survey’s comments on “subscription fatigue” feel apt, and that will be something to keep an eye on going forward. The streaming subscription landscape is very crowded even if you only consider sports, and it’s more crowded still if you add entertainment services to the mix. We’ll see how all these streaming services do in the long run, but it’s definitely not an easy arena to compete in at the moment. And that’s worth keeping in mind when we see media companies promoting services like ESPN+ or B/R Live; are enough people going to pay the extra fee for those to make them worthwhile investments for the companies, and how long are people going to pay to keep those services?